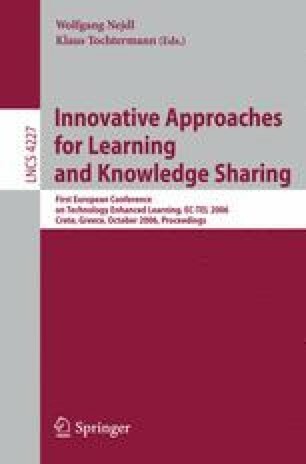 According to the recently emerged, trialogical learning (TL) paradigm, learners are collaboratively developing shared objects of activity in a systematic fashion. In this paper we propose a basic learning scenario according to the TL paradigm. With this scenario as gnomon, we elaborate the technical issues that are raised for supporting it and we propose a flexible novel method for defining various aspects of the group knowledge.